I scribbled these two words onto the bottom of my last workout program. I had been finding myself skimping a bit during my lifts, doing the bare minimum instead of pushing myself to the the outer recommendations on my program. Doing 8 reps of the 8-10 programmed. Doing 2 sets of the programmed 2-3. The concept of “Be Better” is one woven through what we do here at Valeo…we pretty much live by the mantra 1% better everyday. When the program calls for 2-3 sets of an exercise, if I’m capable in body, I can be capable in mind. #bebetter. Do 3 sets. When I’m driving and my thoughts wander down a path of negativity about frustrations at work or home and I start letting that take over my mood, #bebetter. Stop the thoughts in their tracks. When I’m at Captain Sundae and ordering a flurry, I know I’ll enjoy and be satisfied with every last bite, whether that’s a kid’s cup size or a large. #bebetter. Order the kid’s cup size. When I want to start scrolling on social media instead of doing my devos for the day, #bebetter. Seek first the Kingdom. When I stand in front of the kettlebell rack and know I could probably do the next bell up, #bebetter. Choose the heavier bell. When I know I’ve already enjoyed a few adult bevs this week, I will #bebetter. Drink water only tonight. 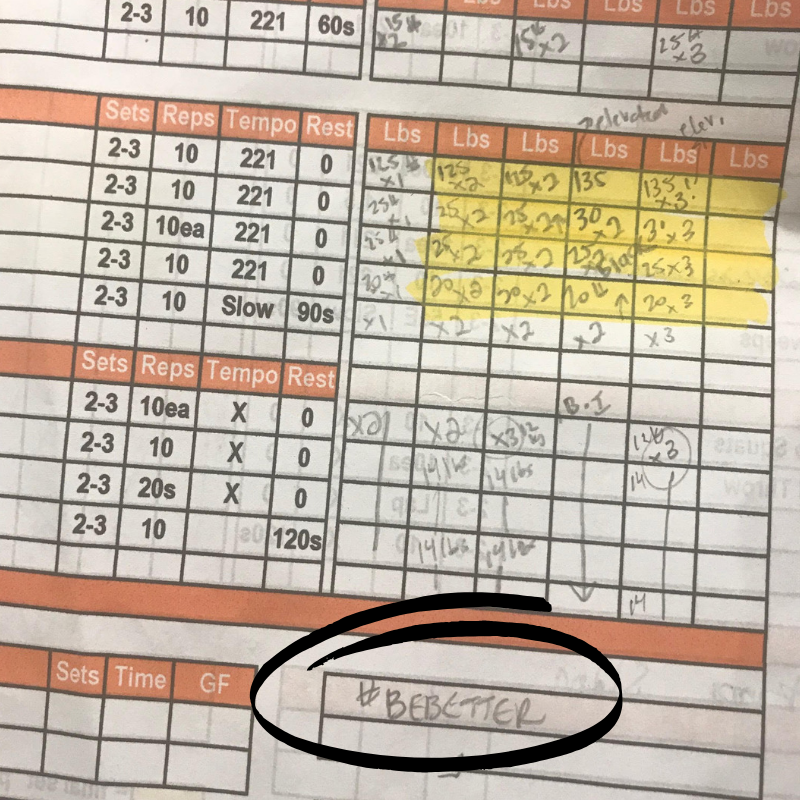 When I’m at MetCon and that 3 second countdown to the finish begins, I can either quit with some sloppy reps or #bebetter. Finish strong through the end. When I’m playing with my boys and simultaneously on my phone, #bebetter. Put the phone away. When I’m headed to bed, I can sit and mindlessly eat even though I’m not physically hungry or can #bebetter and just brush my teeth and enjoy some sleep. Small #bebetters are where the magic happens. It’s an intentional leveling-up that still requires effort but will give you a notch in the belt of accomplishment that could just propel the rest of your day positively. What is your next #bebetter moment? It’ll be different for everyone, so You Do You and stand proud in that. Cheers to choices, grace and doses of discipline that really are life-giving.